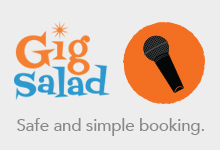 Available to provide karaoke fun for any occasion or venue in the Washington, D.C. area! Be sure to visit my main website also @ www.davethekaraokeguy.com! The Central City Community Church of the Nazarene in Los Angeles lifts the spirits of the homeless in LA's Skid Row with karaoke nights! I'm David - a classically trained performing musician and composer who also loves karaoke! I've been singing karaoke around northern Virginia, the District, and Montgomery County for many years. Now I'm available to run a fun karaoke show just for YOU! Awesome service and customer experience - highly recommended! Karaoke Depot | Rockville, Md.